The United States is reportedly considering withdrawal of benefits to India under its Generalised System of Preferences amid a widening dispute over trade and investment policies. 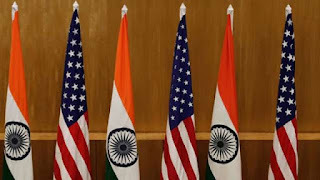 The US Trade Representative (USTR) is in the process of completing the review of India's status as a GSP beneficiary and an announcement was expected over the next two weeks. The withdrawal of the Generalised System of Preferences from India could be the strongest punitive action since President Donald Trump took office in 2017 vowing to reduce the US deficit with large economies. The Trump administration has repeatedly called out India for its high tariffs. Generalised System of Preferences instituted in 1976 under the Trade Act of 1974, is a U.S. trade program designed to promote economic growth in the developing world by providing preferential duty-free entry for up to 4,800 products from 129 designated beneficiary countries and territories. What will be its impact on India? The withdrawal of the Generalised System of Preferences from India would result in the elimination of duty-free access for about 2,000 Indian product lines. This will hurt small businesses such as jewellery. This will adversely affect Indian exports to the US. Q. Which country is reportedly considering withdrawal of benefits to India under its Generalised System of Preferences amid a widening dispute over trade and investment policies?